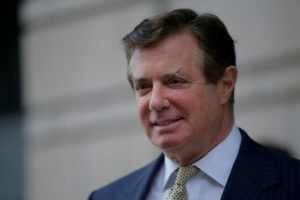 Federal prosecutors filed new charges against former Trump presidential campaign manager Paul Manafort for conspiracy against the United States and conspiracy to obstruct justice, according to new court documents released Friday. The charging document was shared by the Special Counsel Office amid reports that Manafort would take a plea deal to avoid another trial. According to the new charging documents, prosecutors said evidence suggests Manafort tampered with witnesses. 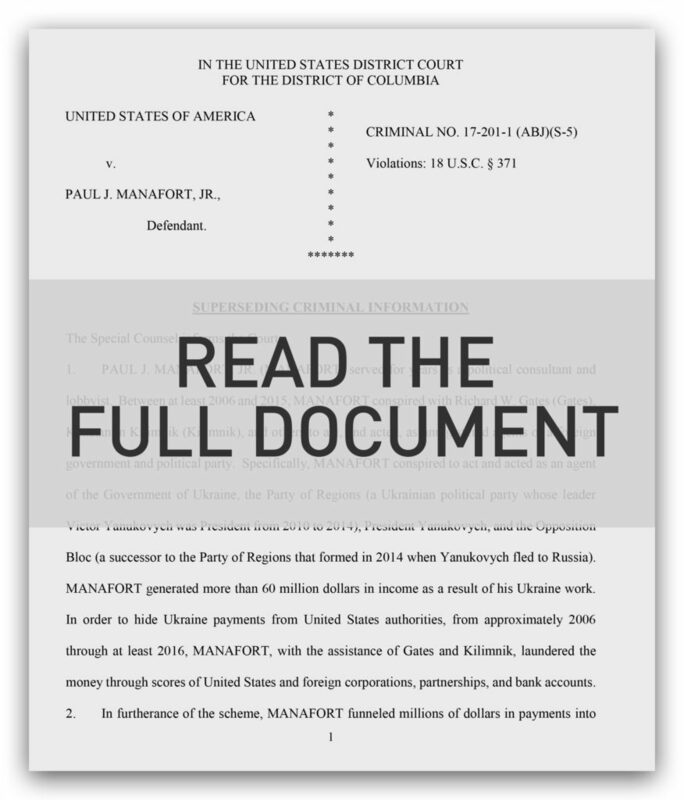 And for a decade, prosecutors said Manafort and his associates laundered money, committed tax fraud, failed to report foreign bank accounts or file as a foreign agent and lied to investigators from the Department of Justice. The Associated Press reports that the nature of the charges filed on Friday signal that Manafort has reached a plea deal with federal prosecutors.